Recently, my partner in crime, William, went to see The Amazing Spider-Man 2--and reviewed it on his blog. I have yet to see it. I didn't see the first reboot until it was available through Netflix. It's not that I don't like the reboots--they're okay, but I liked the Tobey Maguire Spider-Man. Later this month, a Godzilla reboot will be released. Godzilla's my main monster, so of course I'm going to see it. And yes, I did see the 1998 reboot. Oddly enough, I didn't hate it, but I can't say I loved it. However, I was happy to see the Big G turn Madison Square Garden into a nest from which a lot of little Godzillas would emerge. That Godzilla looked a little too buff. Maybe he was there looking for Vince McMahon, hoping to land a WWE contract! Word has it there have been comments on message boards about Godzilla's, uh, chubbiness in the 2014 version. 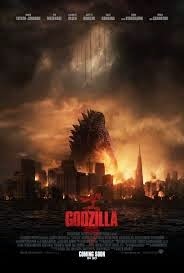 Japanese commenters have suggested Godzilla is too fat, insinuating this came from a diet of eating only Americans. Personally, I think the big guy looks just fine. Of course, better special effects is no guarantee the remake will be an improvement over the original. As Exhibit A, I give you the reboot of The Day the Earth Stood Still. 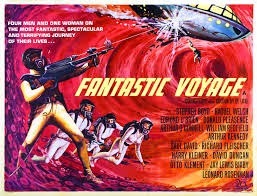 Better special effects, definitely, but too many changes to the story--and too much screen time for that bratty kid! So...what movies do you think should be remade? Which remakes do you consider a colossal mistake? Don't-Miss Blogs: William's image post with the misleading title, Grace's photoblog on the new taxicabs in Perth,Ivy's things she loves, and Eve's Mother's Day poem! Oh Norma.... are we twins ? I love Godzilla movies. Grew up with them. Much of my family lives in Japan so Godzilla is very familiar to me. I even have a huge poster in my studio of my hero. I so agree with with your choices. I never understood why "Pacific Rim" didn't do much better last year. There was so much to understand about the monsters they are/were a homage to many Japanese monsters. But yet you didn't need to know that to enjoy the movie. Oh well. 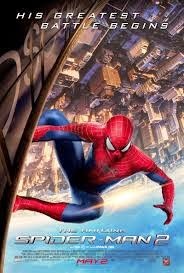 As I said on Williams post not a big Spider man fan and if I did did watch this series it would not be this one. Anyways I enjoyed this post so much. Wow ... a laundry list of some of my favorite movies. Godzilla was my #1 favorite franchise from childhood -- the best Saturday night was when two Godzilla movies were played on the Double Creature Feature. But -- while I'm very eager to see that reboot -- reboots in general always leave me a bit fearful. For every one that's done well ... there are those ten others. 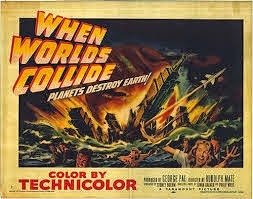 I think they should remake Forbidden Planet with a new robot. I think the word reboot should just be removed for all time from the English language. If you're going to make a remake, call it that. Reboot sounds like a word a Marketing Chimp came up with. I like the Harrison Ford version of Sabrina, and the Hepburn-Bogie one. As to Casablanca, well, let's just say that gives me an awful idea. And I'm not sure if it qualifies, since it wasn't a remake but a prequel episode, but Lucas should have gotten his head smacked over and over again for inserting Jar-Jar Binks into the Star Wars prequel trilogy. did to Roald Dahl's Charlie and the Chocolate Factory. @ Eve: I love the original Day the Earth Stood Still--it's one of the best sci-fi movies ever! 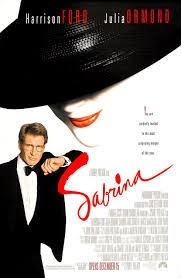 And as much as I've always liked Bogart, Harrison Ford was wonderful in Sabrina! Loved that line about Linus being the world's only living heart donor! @ Gayle: We should start a Godzilla fan club! He's the best monster ever! @ Mark: The Double Creature Feature--that brings back memories! Wanna join our Godzilla Fan Club? @ Deb: I loved Forbidden Planet! And I agree, a remake with a new robot would be great! @ William: I think you're probably right. It does sound like something a Marketing Chimp would do. Awful idea? Oh, you wouldn't! I think we can all agree on the Jar-Jar issue! @ Ivy: Tim Burton's a weird creature. He should never be allowed to remake anything! Did you see his take on Mr. Wonka? character. It actually made me mad. just sorting papers and taking it easy. No...I saw previews. That was more than enough! It was terrible. It was free, so I thought I'd give it a go. We don't have TV, so I never got to see the previews. Had I, I probably would have passed as well. Good sleep, that's the good stuff. Oh I think it's sacrilege to remake Casablanca. Part of the appeal is the black and white and Bogart. I LOVED Godzilla as a kid and I was so excited for the reboot in 98 but I just didn't like it. This new one does look good tho. Excited to see it!! BTW you asked who did my covers--Jaycee DeLorenzo from Sweet-n-Spicy Designs. She does web design too and great to work with. Nooooooo to a remake of Casablanca, that would be wrong on so many levels! I remember seeing a movie called 'The Haunted' many years ago and it scared the bejeezus out of me, the remake a few years ago was pitiful. As long as they never try to remake my favourite 'Gone with the Wind' no one could play Scarlett and Rhett like Vivien and Clark ! 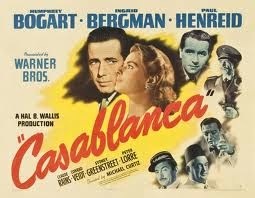 @PK: Casablanca should NEVER be remade. If it ain't broke, don't fix it! Your covers are among the best I've ever seen--thanks for sharing. Collin does mine, but he's pretty much decided he doesn't really want to make a career of it. @ Grace: I agree! As for Gone With the Wind, I can't imagine anyone would even attempt it. I've not seen the Godzilla remakes - but I do remember loving the originals only because the so called monsters were so full of personalities and were like the original King Kong - I ended up cheering Godzilla on and the humans were like secondary LOL! So I hope the new Godzilla film will make me root for the monster too! Magnificent 7 was a great re-do of the even greater Seven Samurai - so good remakes can be done! But no no no to Casablanca re-make!! p.s. I liked both Sabrina films too! @ Old Kitty: I cheer for Godzilla, too! Casablanca should be forever off-limits! I am so happy to see so many people feel as I do about the Sabrina remake! You liked the Sabrina remake better than the original???? And Godzilla being a little plump -- Maybe he's really a she. We females tend to collect fat, you know! I loved the Sabrina remake. I could watch that one over and over. The Godzilla remake back a few years ago...cheesy. But the trailer of the new one looks really good. @ Cheryl: Yep. I thought I was the only one, until I posted this!